There are two things that we look forward to during our Mangalore trips – one is Gadbad and the other is piping hot Goli Bajes! 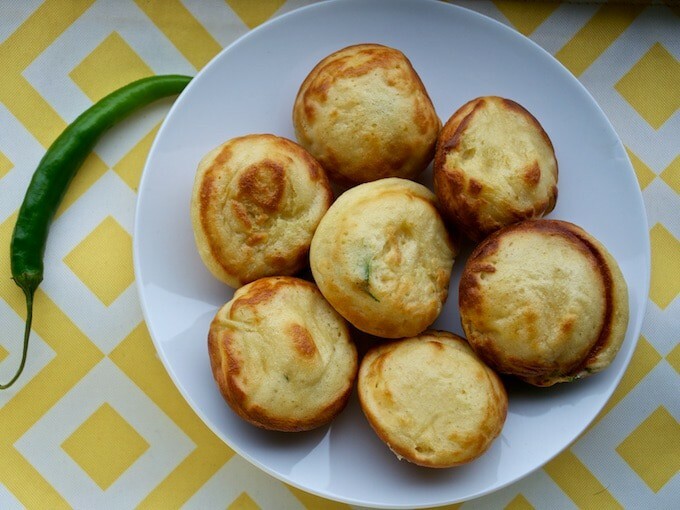 They are primarily made of maida and yogurt and have a crispy exterior and a soft center and are usually deep fried in oil but since I am a huge appe pan, I decided not to deep-fry. Not sure how it would turn out, I was surprised to find that they were equally good as their deep fried version! The exterior was not as crispy but considering I used oil only for greasing the appe moulds and it has not been dunked in oil, they turned out pretty awesome! 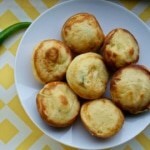 If you don’t have an appe pan and decide to deep fry it, the recipe should stay the same! Mix all the ingredients to form a batter of thick consistency. Grease all the moulds of the appe pan with oil and heat it on medium heat. Reduce the heat to low and add a spoonful of batter to each of the moulds till the moulds are 3/4th full. Let the Goli bajes cook on low heat for 6-8 minutes and then turn them over and cook an additional 3-4 minutes. Set the bajes aside. Repeat the process till you run out batter.